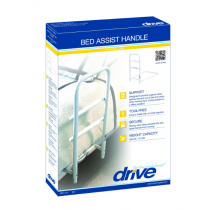 Bed rails, manufactured by Drive Medical, provide protection for all age groups, including adolescents, adults and seniors from falling out of bed. 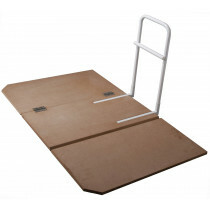 Bed safety rails facilitate with inhibiting accidental fall injuries during the night for adolescents. 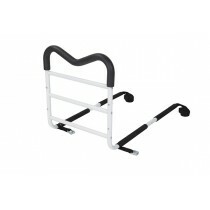 Bed rails for adults are exceptional for those individuals whom are susceptible to constant motion and fall out of bed. 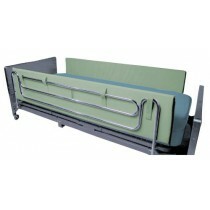 Additionally, adult bed rails can be used to secure patients whom may need a constrained. 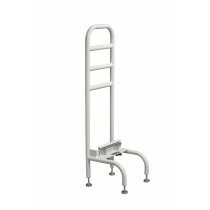 A bed rail for adults can also serve as bed rails for seniors. Truly, though, all of these bed rails perform the same fundamental objective: guard people from injurious falls during the night. 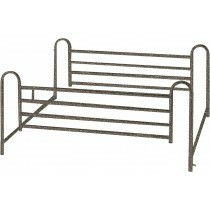 Providing protection to sleepers from falling out of bed, a bed rail is constructed to be solid, stable and dependable. In addition to its reliability, these rails will complement most electric beds, both full- and semi-electric, and manual hospital beds. 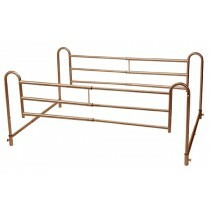 These bed rails for seniors and bed rails for kids are compatible with beds at home residence, too. 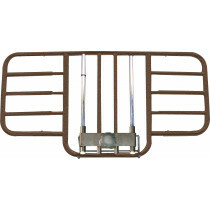 Whichever bed type you use, these bed safety rails are leading rails available on the market. 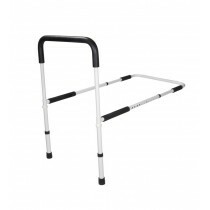 To develop and enhance fall prevention with a safety first bed rail, peruse our large collection of bed rails for elderly, bed rails for adults and bed rails for kids today!